A few years ago I discovered matcha green tea. Life, changed. Queue the triumphant choir music and sunrise glow rising over the hilltops. 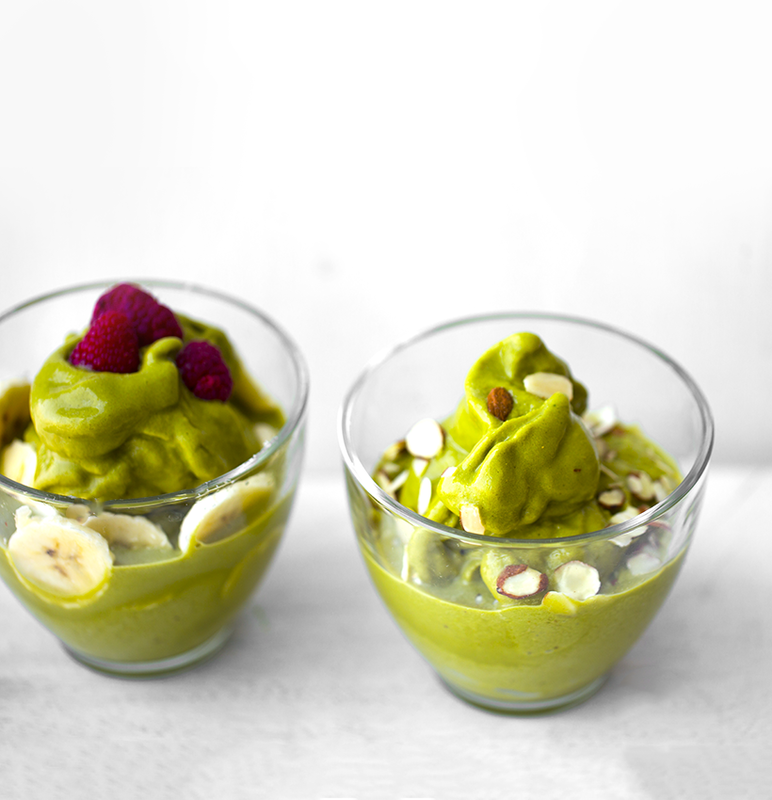 Frosty, creamy, Zenergy-infused matcha green tea smoothie bowls. nuts, seeds, berries, granola, puffs, crushed cookies, spicy pumpkin seeds, anything you’d like! Add all ingredients to a high speed blender and blend until thick and smooth. Pour into serving bowl(s). Top with goodies.